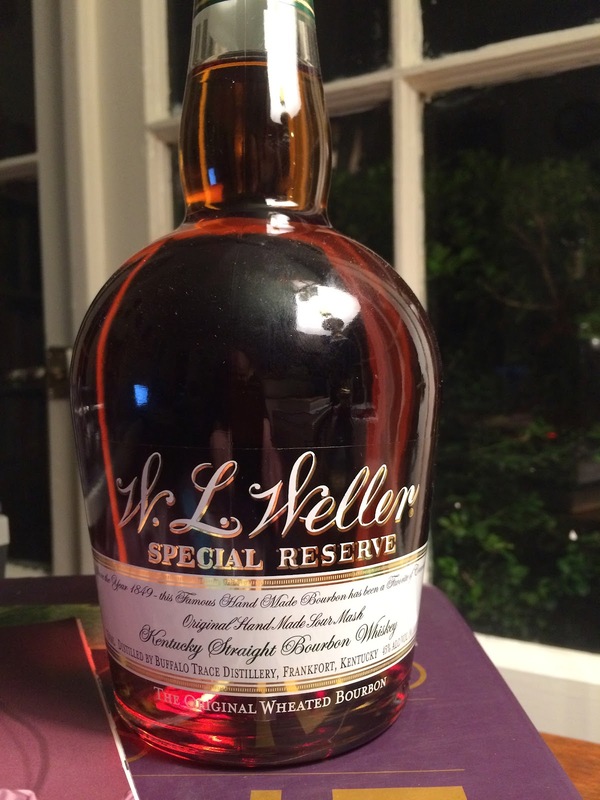 W. L. Weller Special Reserve (45.0%): Well, this was a lucky catch I have to admit... Especially after word got out that Buffalo Trace distillery is using the exact same wheated mash-bill for W. L. Weller which they use for the current Pappy Van Winkle line-up it got almost impossible to find any bottles on the shelves. Hate these kind of hypes... Just because a few magazines and websites mentioned it everybody started to think that W. L. Weller is almost the same as Pappy Van Winkle... All Scotch Single Malts have the same mash-bill. Are they the same..? Anyway, this is a longer discussion, maybe sometime later... To cut it short: When you see one grab it... It is cheap and worth to try it by yourself. Special Reserve is the entry level of the W. L. Weller line-up. The other two bottlings are Antique 107 and the 12yo which is a favorite of mine. Color: Medium amber with legs around the glass. Nose: Sweet... Maple syrup, caramel swirl and rice pudding with heavy cinnamon dusting. Cherry coke, carrot cake and eggnog. McIntosh apples, cloves and nutmeg. Palate: No surprises here, exactly what the nose suggested. Sweet and dusted with cinnamon. There is a harshness of young alcohol on the palate but it is saved mostly by the sweetness of wheat. Caramel pudding, vanilla and butterscotch. Orange zest jam, honey syrup and apricot compote. Finish: Short with some alcohol burn on both sides of the tongue. Toasted wood, dried chili pepper flakes and cinnamon. Overall: It is a sweet, pretty decent but a young bourbon. A great buy in its price category without a doubt and I would prefer it over Maker's Mark every time but it is definitely not worth the money you would spend when you buy it from the secondary market. I also think that a single ice cube works just perfect with this bourbon... Makes it a great summer afternoon drink.